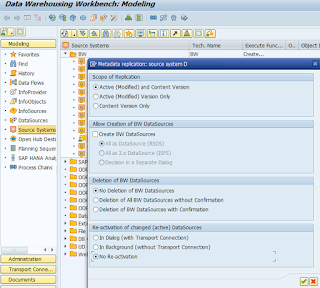 Replication of DataSources is quite painful in BW systems. It usually takes time and there is high effort that needs to be put into it. Normally it is done in tcode RSA1 -> Modeling -> Source Systems -> right click on particular systems and choose Replicate DataSources. This brings up below dialog box where parameters for replication can be set up. By starting this up it activates all DataSource available in respective source system. 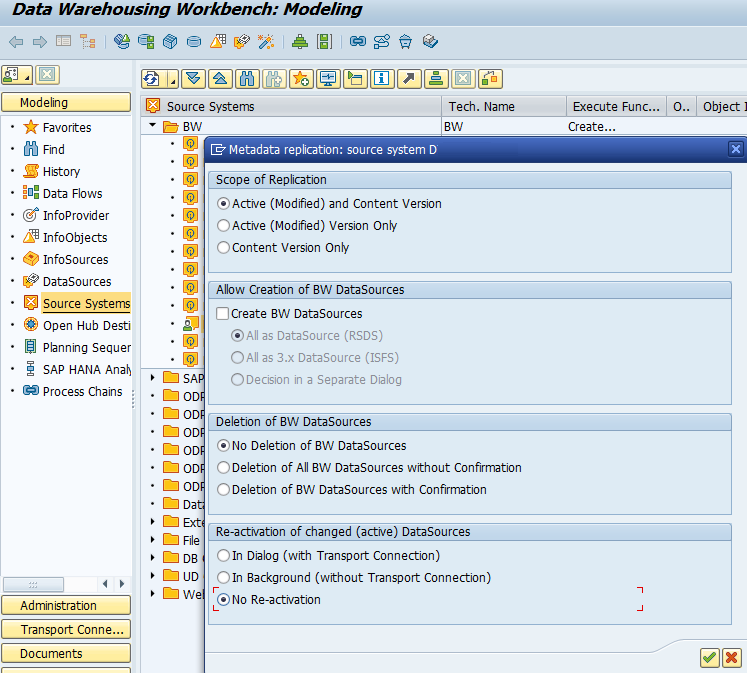 SAP delivered improvement to this functionality via below SAP Note that supports replication of specific DataSouce within a source system or an application component. Despite there are some drawbacks like it replicates all DataSources in 7.x fashion it speeds up whole replication process. In order to be used this enhancement you need to setup a parameter called REPL_DATASOURCE_UI_740 = X in table RSADMIN. Feature is available as of BW 7.3 SP11 and BW 7.4 SP05. Can't you use transaction RSDS? I use it to replicate and activate Datasoruces I really need. Not all of them.